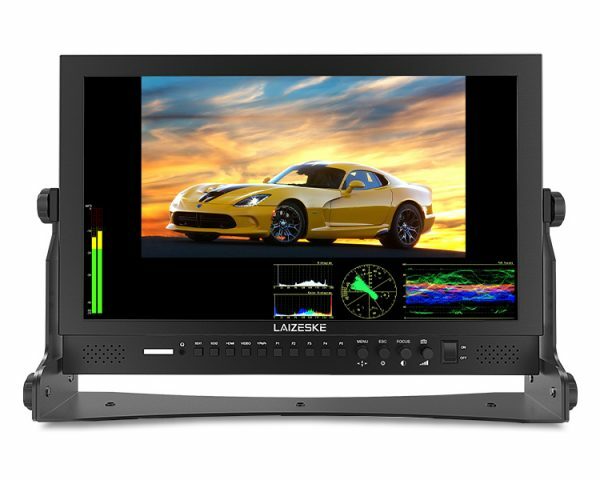 The DR173DSW 17.3″ 3G-SDI/ HDMI LED-Backlit Production Monitor from Laizeske offers a native resolution of 1920 x 1080 and can display up to 16.7 million color images. The monitor’s rear panel features two 3G/HD/SD-SDI, HDMI, and YPbPr inputs and outputs that support all HD, SD, and analog video signals. 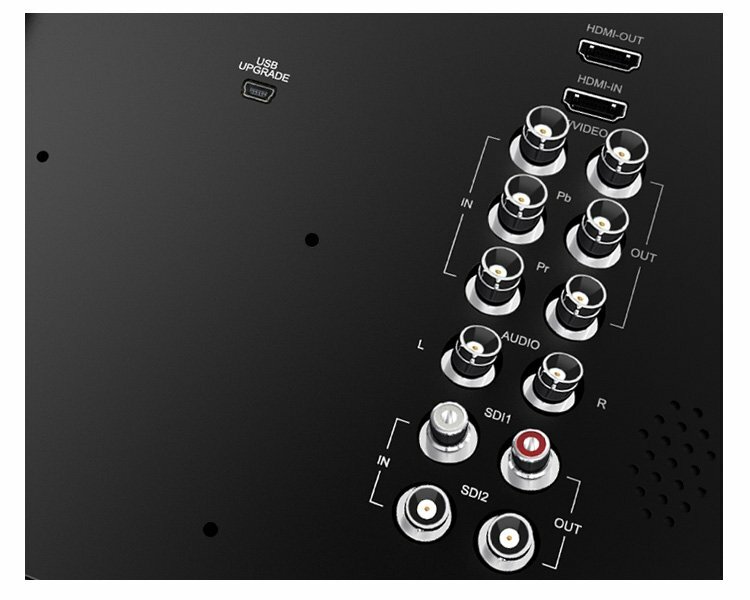 For audio, it features left/right audio inputs, one 3.5mm stereo headphone jack on the front panel, and built-in speaker. 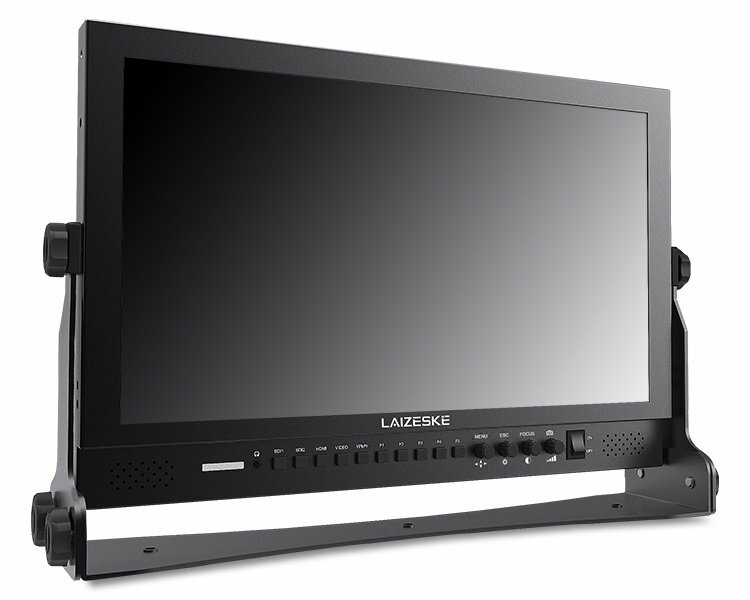 The monitor comes with a V-mount battery mounting plate that attaches to the rear side. 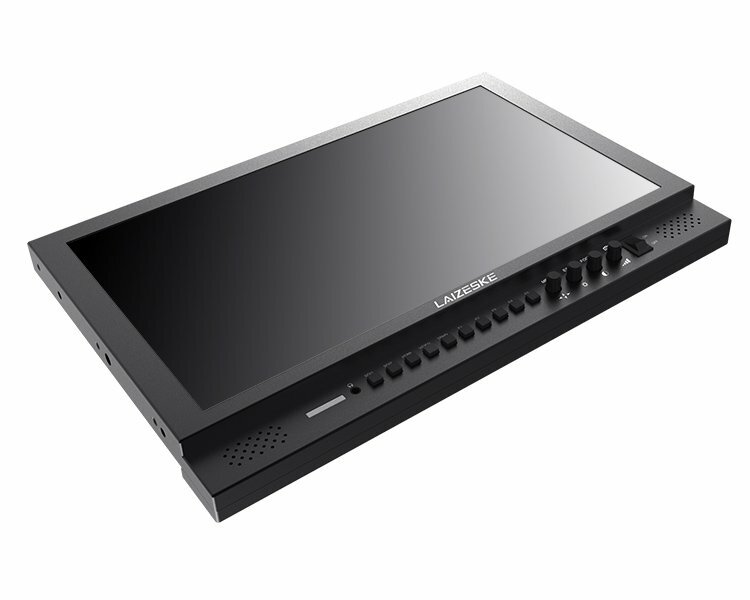 It can either be powered using the included 12 VDC adapter or via lithium batteries through a standard 4-pin XLR connector. 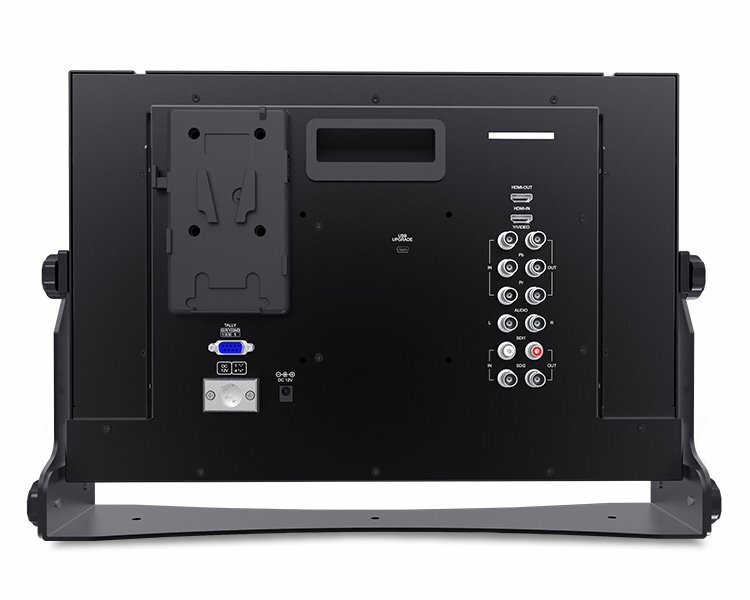 Box Dimensions (LxWxH): 20.5 x 16.2 x 6.5"